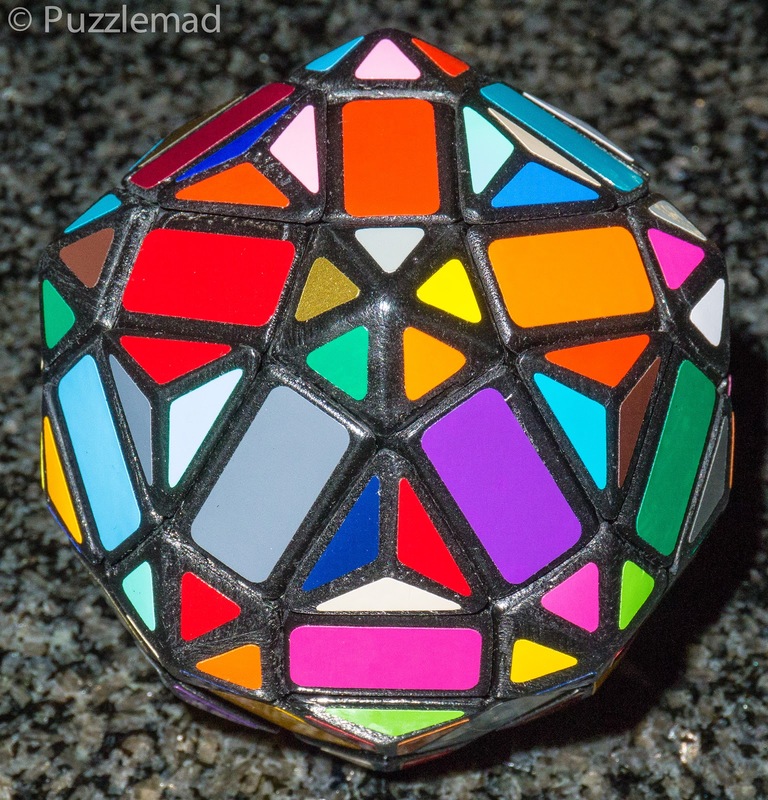 Puzzlemad New Additions: How many sides? A few months ago an Austrian puzzle friend on the Twisty Puzzles Forum posted that he was making a batch of 30 sided rhombic triacontrahedron mods from megaminxes. How could I resist? Apparently someone backed out of a purchase and this pushed me up the ladder and mine arrived last week. It is truly stunning and very smooth. 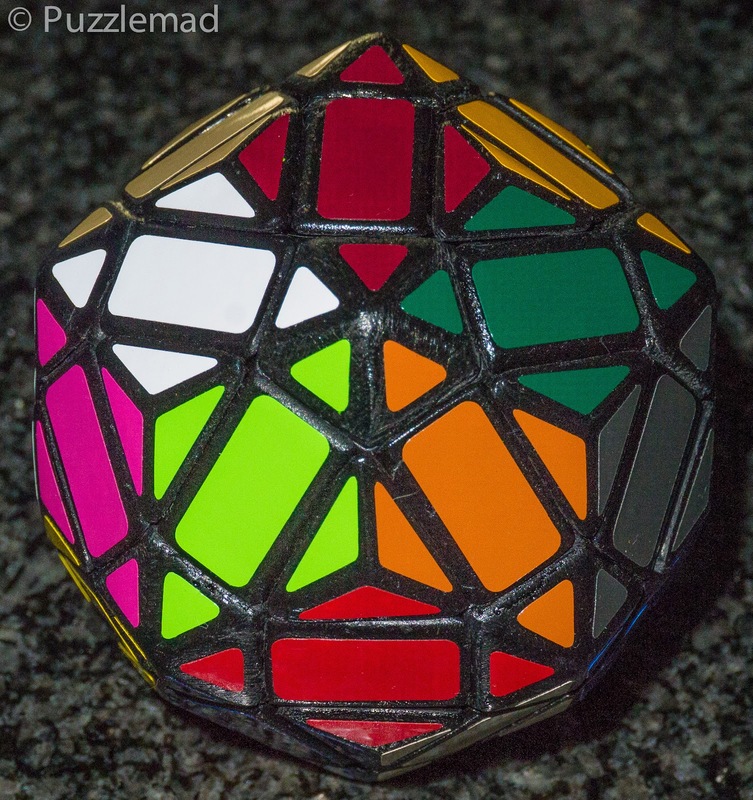 If you can solve a megaminx then you can solve this - it only needs the Beginner's method (being careful for the supercube aspects) and has some fun parities due to the ability to place the edge pieces in any orientation! I lovely puzzle for anyone's collection!